Going somewhere fun this summer? The Soko Glam travel set will be your new essential. Keep reading to find out why. UPDATE: The Soko Glam Travel Set has sold out! Sorry! Here’s a travel PSA: Please don’t try to pack your entire 10-step in your carry-on! First of all, TSA won’t be very happy with you if you do. But also, the chances of losing a product, spilling it all over your bag, or lugging 10 heavy bottles all over the airport seem like too much to risk. Instead, leave all 5.07 oz of your Klavuu cleansing oil at home (can you even imagine what would happen if that spilled all over your clothes?) and get ready for your new favorite luggage lifesaver. Meet the Soko Glam Only Good (Skin) Days To Go Travel Set! This handy little set is perfect for anyone who wants good skin on the go. 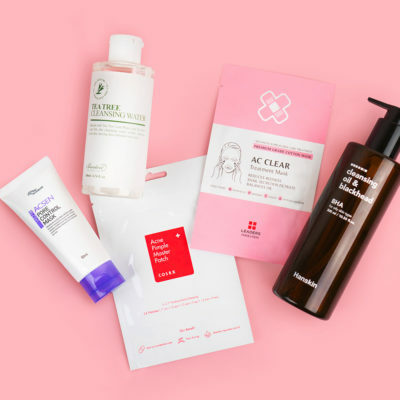 Plus, it’s a great way to try some of Soko Glam’s favorite K-beauty products without having to commit to the full size products. 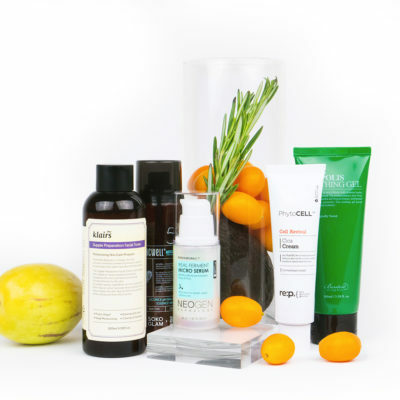 Each item in this set was hand-selected to be the perfect 9-step routine on the go. 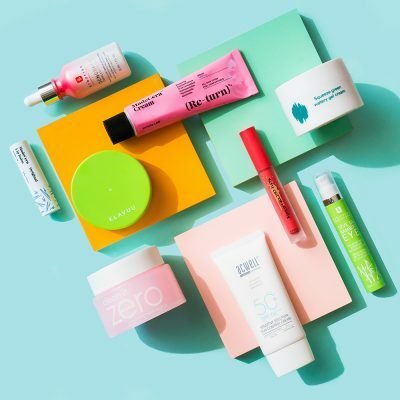 All of the products come in cute mini-sized versions of the packaging you already know and love. And did we mention the cute little travel pouch they fit neatly into? So what’s in the set? 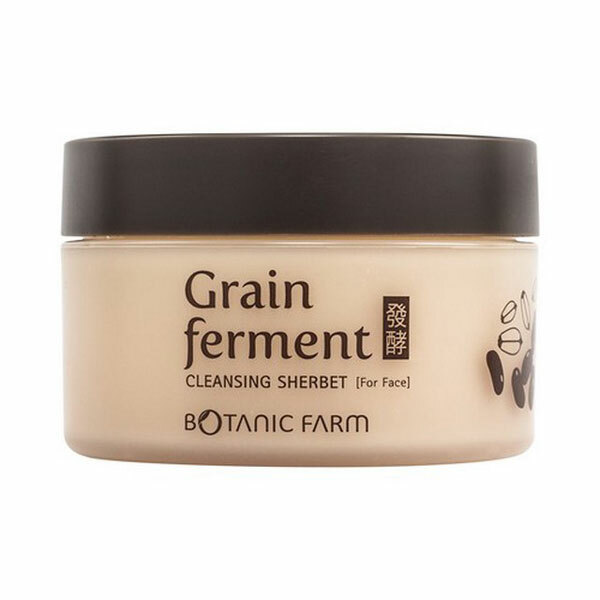 The first step is the Botanic Farm Grain Ferment Cleaning Sherbert. This is a new and innovative oil cleanser that not only melts away impurities, but also uses great natural ingredients like rice, rice bran, and soybean to brighten and re-hydrate skin at the same time. 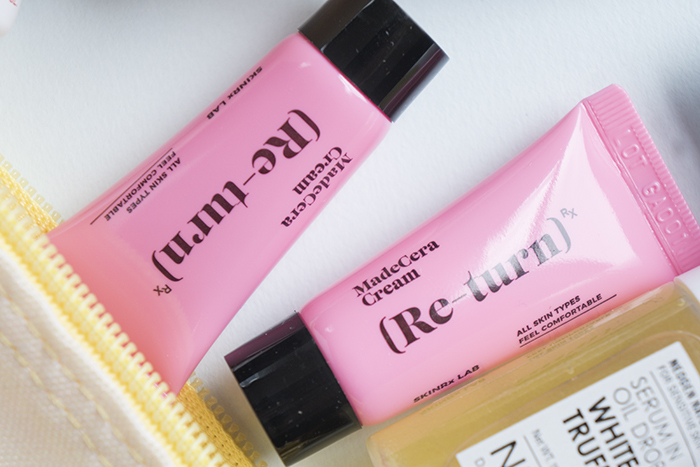 You get two capsules, but a little bit goes a long way with this gentle sherbet-like cream. 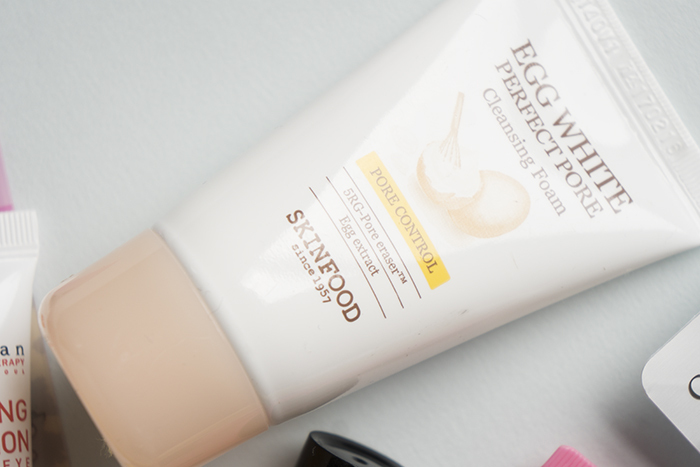 Secondly, we have the Skinfood Egg White Pore Foam. This foaming cleanser is super gentle on the skin. And if you haven’t tried a product with egg whites before, we highly recommend it! They contain high levels of amino acids which are great for intense deep cleansing. They also help heal skin from environmental stressors and help with collagen enhancement. 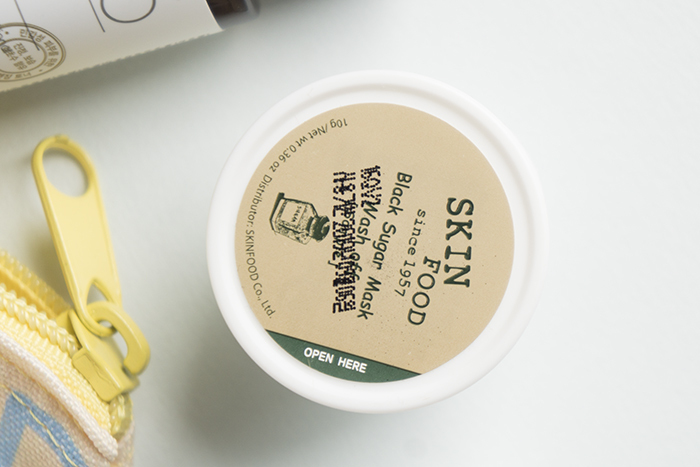 After the double cleanse, we skip straight to the Skinfood Black Sugar Mask Wash-Off. After a plane ride, you’ll definitely want to exfoliate your face to leave your skin with a clean smooth base and get rid of that gross airplane feeling. This cult favorite will reinvigorate your senses with the smell heavenly of brown sugar and leave your skin feeling softer and more supple than before. We know that traveling can be exhausting, but that doesn’t mean you need to show exactly how tired you are. 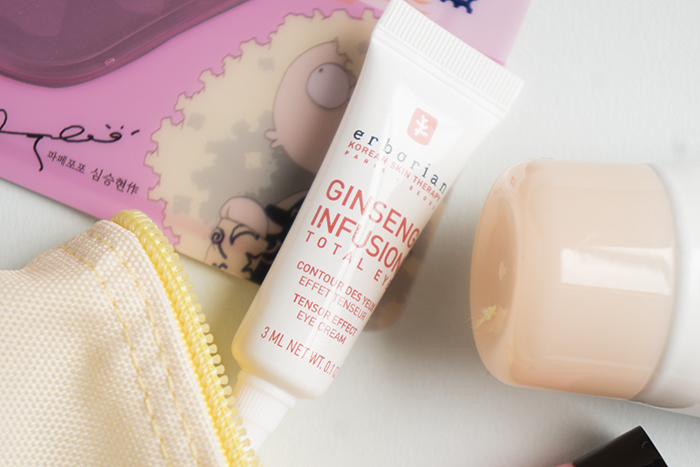 After toning, brighten up your eye area with ginseng extract, particularly with the Erborian Ginseng Infusion Total Eye Cream! 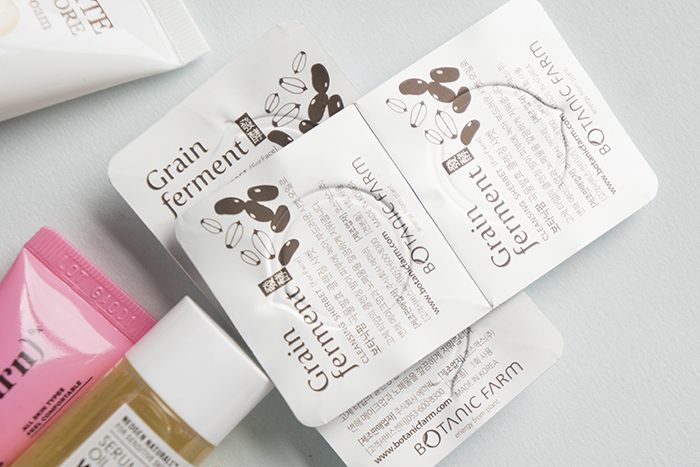 This product has tiny little ginseng beads that keep the active ingredients encapsulated until the very last minute when they hit your skin. This, along with soothing licorice, green tea, rosemary, chamomile, and wild yam extracts, is guaranteed to wake up those tired eyes. 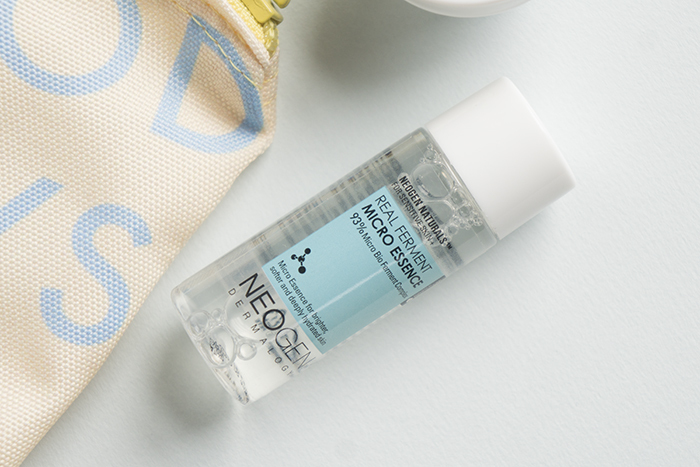 After eye cream, we move on to the Neogen Real Ferment Micro Essence. 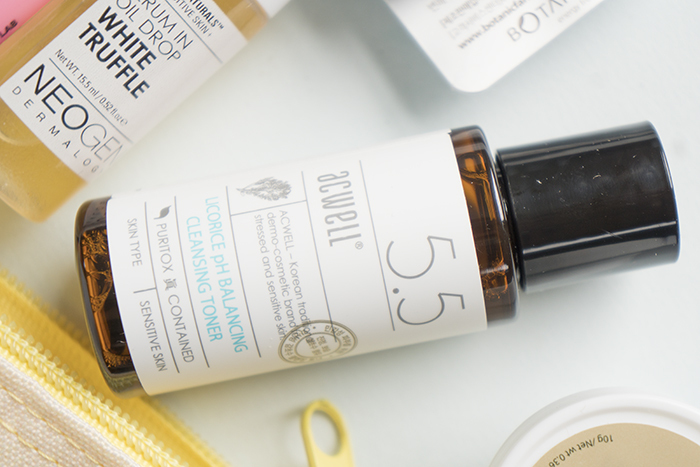 This is an essential step if you’re looking for perfect glowy honey skin this summer. With 93% naturally fermented ingredients, like bifida ferment lysate and saccharomyces ferment filtrate, this essence is guaranteed to hydrate your skin and leave it feeling soft and plump instantly. Plus, you can use your palm to tap the essence right into your skin. No extraneous cotton pads needed! 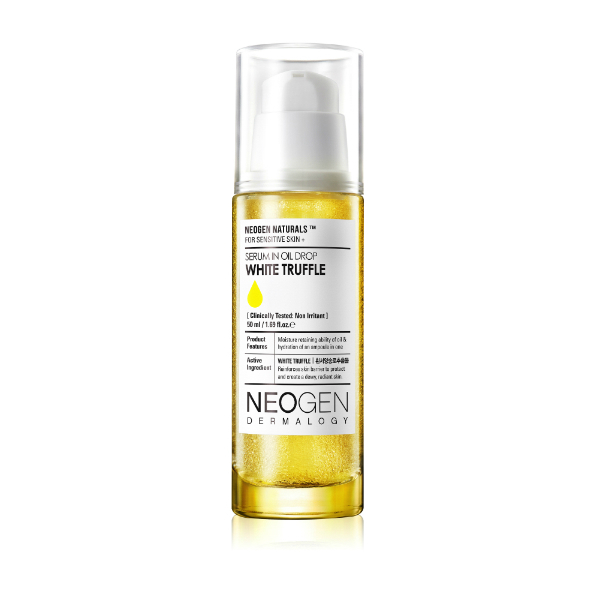 Next comes the Neogen White Truffle Serum in Oil Drop. This baby represents the best of both worlds in terms of oils and serums. It has all the hydrating effects of an oil, all the moisturizing effects of a serum, and combined with Neogen’s microfluidic dispersion technology, none of the sticky finish or residue. 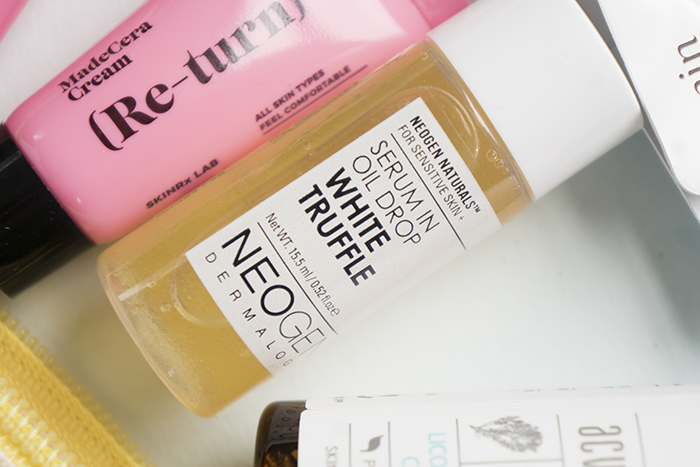 The white truffle oil and other ingredients work to reinforce your skin’s protective barrier, strengthen damaged skin, fighting signs of aging, and nourish, and brighten the skin. After your serum, reach for your SKINRx LAB Madecera Face Cream. This comes in two adorable pink portions, perfect for taking with you anywhere. This cream is formulated with madecassoside to help strengthen your skin barrier and reduce redness. It also has niacinamide to help brighten the skin and adenosine to help with smooth the skin and deilver anti-aging benefits. 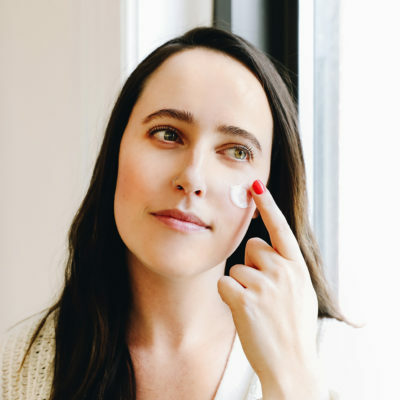 This cream is free of parabens, surfactants, and other irritants which may be irritating the skin, so it can work to hydrate and leave you with your clearest, most radiant skin yet. We often forget our lips when taking care of the rest of our face, but they deserve some love too! The Sally’s Box Friendly Berry Berry Lip Patch is a super cute way to wind down your routine. Put it on as the last step while you watch TV or turn on some tunes. This mask fits snugly over your lips and provides hydration through an essence full of nourishing ingredients. Leave it on for 10-20 minutes and then you’re good to go! You can purchase the Soko Glam Only Good (Skin) Days On the Go Travel Set here. 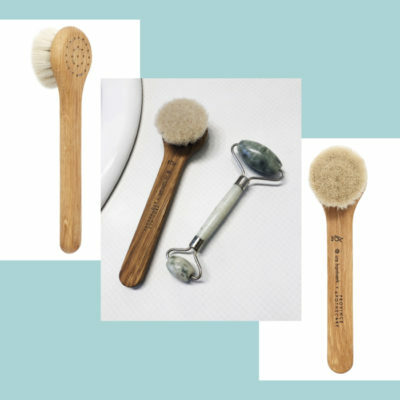 + Which product from the Soko Glam travel set are you most excited to try? Let us know in the comments!